MOSCOW — It didn’t take long following the United States' announcement that the country would suspend its participation in a major Cold War arms treaty for Russia to move in kind. Now, freed of its obligations under the 1987 Intermediate-Range Nuclear Forces Treaty, Moscow is wasting no time in developing new, once-prohibited weapons systems. Kalibr, a Russian cruise missile analogous to the American Tomahawk missile, has seen effective use in Syria and is being deployed across a wide variety of Russian naval platforms. As for the hypersonic system, there has been confusion as to which weapons project he was referring — Shoigu described the system in two different ways. During a meeting with Putin on Saturday, the Russian-language transcript quotes Shoigu as describing the system as ballistic. The term ballistic disappeared from the English-language transcript, and again did not appear in Shoigu’s description of the system on Tuesday. 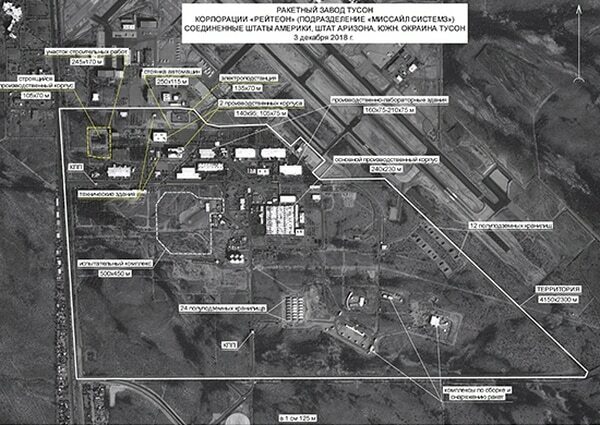 Rubezh was a Russian development project for an intercontinental ballistic missile. Russian news agency Tass reported in March that the development effort was bumped to 2027 in favor of the Avangard boost-glide hypersonic project unveiled by President Vladimir Putin on March 1, 2018. However, the Kommerstant newspaper has suggested the weapon may be a modified Tsirkon anti-ship cruise missile. In addition to new ground-launched cruise missiles and some form of hypersonic system, Shoigu said the military has been directed to increase the strike range of existing ground-launched systems currently under development thanks to funds allocated for procurement through 2021. Using existing sea- and ground-based systems as the basis for new missiles to fill strike ranges once banned by the INF Treaty (500-5,500 kilometers), according to Shoigu, will allow for a significantly expedited development timeline. And some in Washington may say Russia, which stands accused of already developing weapons at INF ranges, already has a head start. The U.S. and Russia have been sparring over mutual alleged violations of the INF Treaty since at least 2014, when the Obama administration began issuing vague protests of Russian noncompliance. The Trump administration upped the ante last year with formal protests that a new Russian missile, dubbed the 9M729, had been tested at ranges prohibited under the treaty. Few in the West doubt that Russia stands in violation, but the Trump administration prompted alarm across Europe when national security adviser John Bolton was dispatched to Moscow in October 2018 to signal America’s imminent withdrawal from the treaty. Russian officials scoffed at an ultimatum to return to compliance or face unilateral U.S. withdrawal. Moscow has been on overdrive in attempting to make the case that the U.S. is, in fact, the main offender — pointing to a variety of U.S. actions as evidence that Washington’s suspension of the treaty was premeditated and precedes a major American buildup of INF-banned weapons. In a meeting with Putin on Saturday, Foreign Minister Sergey Lavrov laid out Moscow’s case. “The United States has been violating the treaty since 1999, when it started testing combat unmanned aerial vehicles that have the same characteristics as land-based cruise missiles banned by the treaty,” Lavrov said. He then lashed out at U.S. missile defense deployments in eastern Europe, specifically the Mark 41 launch system. “These launchers are fully suitable, as they are for Tomahawk intermediate-range attack missiles,” he said. The U.S. has denied the allegation. Lavrov noted that the United States' most recent Nuclear Posture Review called for the development of low-yield nuclear weapons, and that intermediate-range missiles would likely be used to deliver them. “It was also announced only recently that this provision of the U.S. nuclear doctrine is beginning to materialize with missiles of this kind entering production," he said. American officials, for their part, have maintained for years that there are no U.S. systems which violate the INF Treaty. Speaking Feb. 6 at the Washington-based Hudson Institute, John Rood, the Pentagon’s undersecretary of defense for policy, waved away such Russian statements as propaganda. He added that the threat of new Russian systems does not require major changes to the recently released Missile Defense Review, as the document took into account Russian weapons that the U.S. has alleged violates the treaty. 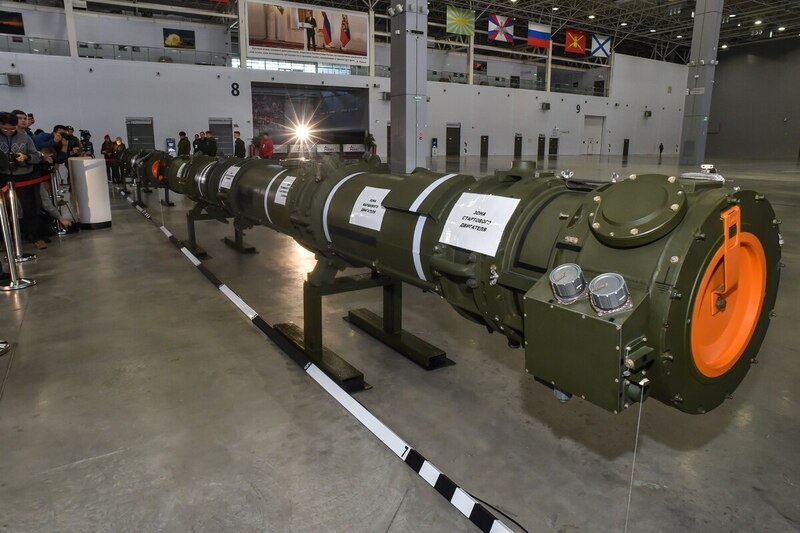 On Saturday, the day Russia suspended its participation in the INF Treaty, the Russian Defence Ministry took to social media to allege that the U.S. began preparations to manufacture missiles banned by the agreement two years before it formally suspended its participation. A satellite photo of recent expansions of Raytheon’s production facilities in Tucson, Arizona, were offered as evidence. “This plant is the largest diversified enterprise of the US space industry,” the social media post said. “Over the past two years the space of the plant has increased by 44% — from 55,000 to 79,000 sq [meters], while the number of employees is about to rise by almost 2,000 people, according to official statements." Shoigu, the defense minister, struck a similar chord three days later when he painted the Kremlin’s directive to begin work on new missiles as a direct response to U.S. efforts to field intermediate-range missiles. And dire predictions of World War III with an aggressive United States have dominated talk shows and headlines in Russia. The Trump administration’s approach to the dispute has left the U.S. taking most of the heat for the treaty’s demise, and it is certainly a treaty Moscow wanted to scrap. But this is unlikely the way Moscow wanted things to play out, and the Kremlin now finds itself frustrated that Washington may be backing away from arms control entirely. Rather than treat Russia as an equal partner on nuclear issues, where it has always enjoyed a special status vis-a-vis the U.S., Moscow finds itself subject to American ultimatums — a relationship Moscow is constantly looking to break.